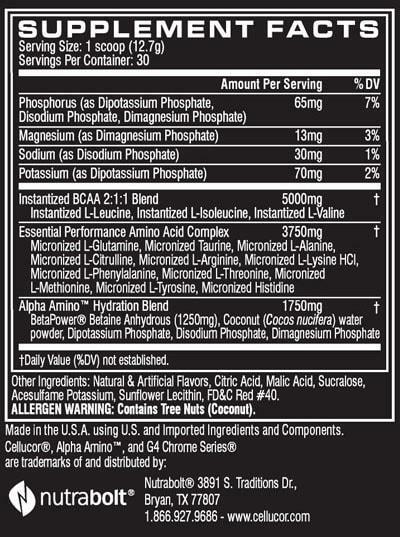 Mix each serving (1 scoop) of Alpha Amino in 8-12 fl. oz. of cold water, juice or sports drink one to two times daily. For enhanced performance on training days, take two servings before and after training. Do not exceed 4 servings per day. Natural and Artificial Flavors. Citric Acid. Malic Acid. Sucralose. Acesulfame Potassium. Sunflower Lecithin. FD&C Red #40.